Storing Your RV and Boat Has Never Been Easier! 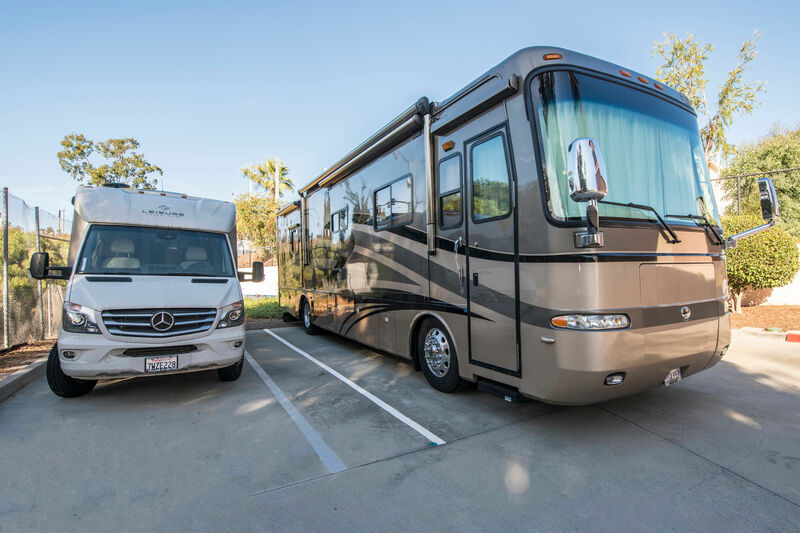 Whether you have an RV or a boat to store, Butterfield Ranch Self Storage is the best solution in Temecula. We have a superior location, easy access and knowledgeable managers. Whether you typically take your RV or boat North, South, or East, Butterfield Ranch Self Storage is on the way to your destination. We are conveniently located on Temecula Parkway (Highway 79), which has an entrance ramp to Interstate 15 less than 4 miles away. Also, if you travel to the desert or the Colorado River, we are perfect for that as well. Our facility is found at the gateway to the desert with easy access to Highway 371 and Highway 74 into the Coachella Valley. The security of your RV or boat is very important to us. We have computerized gates and 24-hour video monitoring to help give you peace of mind. Also, our managers make regular property checks throughout each day. We have a variety of sizes to suit your needs. From 12'x30' up to 12'x'45 spaces, we can accommodate just about any RV and boat. Each space is 12 feet wide and angled to make it easy for everyone to park smoothly. We also feature extra wide drive aisles. Come see how easy it is to store your RV & boat here!